Google is placing more importance on the speed of a website. For developers who outsource or use some slow loading open source systems this is going to make their sites perform slower and get crawled by Google less often. Sites with many advertisements or other additions may also be affected. The software available for web developers is always improving exponentially. The notion that a web builder system can keep pace with an experienced web developer using advanced software is absurd. Check some SEO info on site speed where it discusses the use of plugins often not used correctly by developers. Some developers shortcut and use other peoples code rather than obtain the skills themselves. Have you ever noticed how some sites load much faster than others with seemingly the same type of page. Many of the tools developers use to "extend" their skills actually come with a speed overhead. If the developer does not know which parts work on which page they will often load everything including unnecessary code on every page. Some of these scripts are written to perform many functions none of which may be included on that particular page. A poorly created web page is like running up a hill its slower and makes you feel heavier. Matt Cutts of Google mentions that Google will be using site speed in search rankings in his blog. www.hearingaidsaustralia.com is a simple site that performs very well in searches. Check it on a search for "Hearing Aid Prices Australia". It uses minimalistic code which allows it to load faster and get crawled easier in Google. It out performs many other sites targeting the Hearing Aid market largely because of its structure and minimalistic code. Learn more about the importance of building a site with search engine optimization advantages. 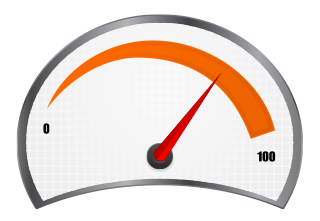 Google provides a site speed analysis tool that you can test the speed of your site. As web developers we highly optimise code and the servers to give a better user experience because nobody likes a slow website.